Brain Games: Does it Really Improve Brain Health? Do Brain Games Really Improve Memory? It is normal for brain function to deteriorate as a person approaches old age. However, you can significantly slow down the process and keep your brain strong through training or by performing mental activities. There is sufficient evidence that suggests any activity which involves thinking and learning is beneficial when it comes to maintaining or improving brain health and preventing dementia. The more complex and challenging the mental activities, the greater benefit it offers. Also, the more brain activities and the more frequently they are done, the lower the risk of dementia. In this article, we will be taking a look at brain games that can help improve and/or maintain brain health. Does It Really Help Improve Brain Health? The benefits of brain games or brain training in humans have been examined in numerous studies. From one of the most prominent studies published in the Journal of Geriatrics Society, there are real-life benefits from training the brain through mental activity. Glenn Smith and her fellow researchers from the Mayo Clinic report that cognitively regular older adults were able to improve their auditory information processing by up to 58% through brain training. After the study, the participants that engaged in brain training also showed better gains in regards to overall cognition and memory. This indicates that brain games really help improve brain health. A Nootropic You Shouldn’t Miss: Mind Lab Pro Review: How Safe And Effective Is This Product? Even simple puzzles like crosswords help train the brain. Crossword puzzles are very easy to fit in your daily schedule. There are several crosswords and puzzles available online for free which can help train your brain and improve brain health. As your brain becomes stronger, challenge it more by working on more difficult and challenging puzzles. Think of it like weight training wherein you need to progress to a higher weight as your muscles get stronger. These complex puzzles can take much longer to accomplish but the effort is worth it. For example, you can try Japanese pocket puzzles or complex puzzle games online. Chess is an excellent strategic and tactical game that allows you to engage your brain and the best thing about it is that it is easy. In fact, chess is one of the best workouts for your brain. There are free chess games online with varying difficulty levels but you can also buy a chess set and play with your family or friends. Most people are unaware of the fact that video games can help improve brain health. There are particular games that involve critical thinking and problem solving. Even the most enjoyable games like Mario, Grand Theft Auto and Angry Birds help exercise your brain. Just don’t spend too much time playing video games and remember to engage in physical activities regularly for better overall health. Aside from losing excess weight and looking better, regular exercise also improves brain health. This is because it improves blood flow throughout the body including the brain providing it with sufficient oxygen to function optimally. Studies have found that exercise helps reduce the loss of brain cells in elderly patients. This also allows new cells to grow which improve brain health. Three or four times a week of walking or light jogging is enough to help maintain brain health. According to research, diets that are high in protein and carbohydrates but low in fat and cholesterol may reduce risk of developing dementia and its side effects. There are also certain foods like dark skinned fruits and colourful vegetables which are rich in antioxidants, vitamins and essential nutrients that help improve brain health. Omega-3 fatty acid rich foods like nuts and fatty fish can also help improve brain health. Staying closely connected to your family and friends can also help maintain cognitive health. Conversations can help keep your brain active helping keep it sharp as you get older. Working out and following a healthy diet with a family member or friend allows you to kill three birds with one stone for optimal brain health. There is substantial evidence that playing brain games regularly can help improve brain health and reduce risk of developing dementia. You can also try the other tips in the article for optimum brain health. 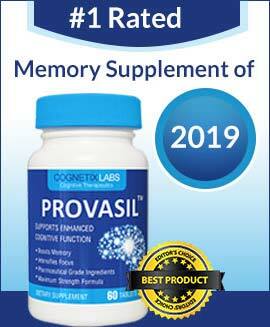 There are also brain enhancement supplements available that provide important nutrients and compounds that help improve brain function and health. Just remember to choose a product carefully and make sure it is not just effective but also free of adverse effects. Catch Q96 Review: It might be beneficial for individuals who want to boost brain health.